It's hard for me to admit but I really like Twilight. I loved the books, ignoring all other responsibilities as I read most of them cover to cover in one weekend. The movies are tough to enjoy, the acting is pretty horrible and it has taken me a while to recover from the fact they chose kstew as the lead. (Not what I pictured Bella to look like at all). 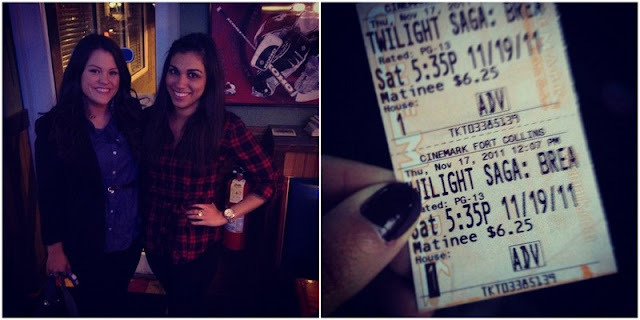 But here I am, a semi-Twilight movie hater, insisting to see the movie opening weekend. At least I had my wingman Dev in tow with her roomie Caley & sisters. We arrived early, loaded up on snacks (they had FROZEN Junior Mints at the theater in a secret stash--died), and got prime seats to over analyze, criticize, and laugh at the awkwardness of the movie. It was bad. I loved it. I even cried....SAP. Weddings get me every time. 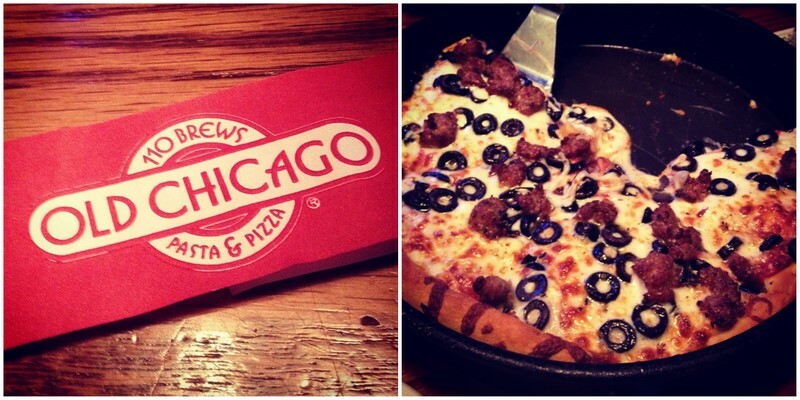 After, we headed to Old Chicago to drown our Twilight embarrassment in greek salads & delicious thick crust pizza. We discussed the disgusting "alternative c-section" and creepy cgi baby face. Unfortunately...deep down we all liked it! I went last night with my husband... who INSISTED on coming with me (weirdo) and had a running commentary the entire time. I did love the books but sometimes I wonder if I loved them b/c I was single & it was the summer & I was bored, hahaha. Obviously I will go watch the last movie but I really can't stand KStew & her stupid "I'm gonna barf as I walk down the aisle" face. Best part of the movie for me was the "Hunger Games" preview. Have you read those? AMAZING! Haha! Me & my friends had a running commentary practically the entire time as well. Her nausea face pretending to be awkward is too much, I couldn't help but laugh! I LOVE the Hunger Games and was freaking out in the theater. I can't wait for those movies!! I'm so glad there are other people in the world that like Twilight but can't stand the cheesy movies! Love the books...but the movies do make me embarrassed to like Twilight!